Cangzhou Zhong Ya Trade Company is a high technical corporation, which integrates multiple functions of scientific research, design, manufacturer and sale. We've always been trying to offer best products and services to every client. Our products have passed ISO 9001:2000 and can also reach the standard of international quality demand. 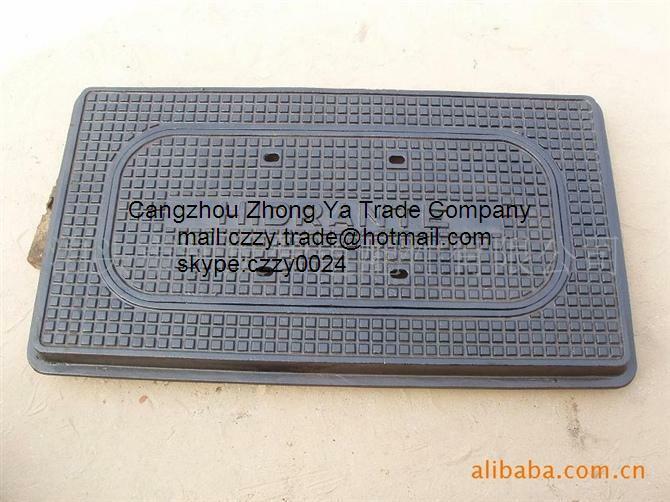 We're specialized in manufacturing different kinds of iron and precision castings, manhole cover, grates,valves and other related products. During years of export experiences, we've built good reputation in global market with annual export quota of 4 million and a great many stable customers. We'd like to build long-term relationship with customers all over the world and insist on competitive price prompt delivery and quality guarantee of products as our stable principle. If you are interested in our products. Please do not hesitate to contact us or browse our website. We're willing to offer our best services to you!